She graduated in 1982 from ‘The Curtis Institute of Music’, where she studied with Jorge Bolet beginning in 1976 with the ‘Rachmaninoff Prize’. 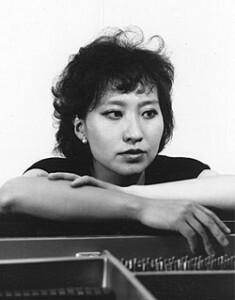 The winner of the 3rd ‘International Liszt Competition’ in Parma, Italy,1986, and a prizewinner in the ‘International Busoni Competition’ in 1988, Wonmi Kim resides in Italy and has appeared in major music festivals and concert series including: Asolo, Bordeaux, Hitzakker (Hamburg), Geneve, Lausanne, Menuhin School, Monte Carlo, Nice, Spoleto, Wigmore Hall (London). She has also been an active chamber musician performing with musicians of the ‘Moscow Virtuosi’, Curtis String string players and many other world renowned ensembles. She has also performed on the following major concert stages outside Korea: Academy House (Philadelphia), Kennedy Center (Washington D.C.), The RAI Auditoriums in Torino and Napoli in Italy, and Musis Sacrum (Holland). Her performances have been broadcast on CBS, NHK, DDR, Dutch Radio, KBS, and Chinese Radio among others. Since 1991, she has broadened her repertoire to include Renaissance and Early Music, culminating in the release of the 1994 recording of the ‘Musica Nova’ (‘Tactus’ Bologna, Italy). Her solo recording, ‘the Art of Transcription’ won the ‘European Music Award’ (2002). Others include ‘The Age of Etudes’ and a sonata album with the cellist Lesley Parnas,on ‘Arcadia’.